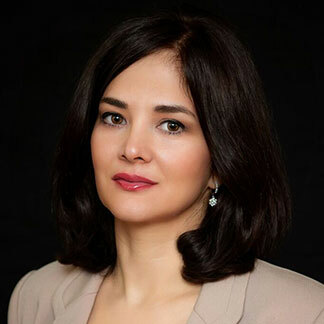 Sarah Ganjavi, D.D.S. Provides quality, comprehensive dental care for children, adolescents and patients with special needs in a unique, state of the art environment in the heart of Vienna, Va.
Dr. Sarah Ganjavi, known to her patients as Dr. G., is a pediatric dental specialist. She grew up in Toronto, Canada and received her Bachelor of Science degree from the University of Toronto, in both Human Biology and Nutritional Sciences. At the University of Toronto, she was the recipient of the Faculty Scholar Award for her academic achievements. Dr. Ganjavi received her dental degree from University of Maryland in 1996.She subsequently completed a pediatric dental residency at Howard University and graduated with honors. She was distinguished among her peers during her residency by receiving the Award for Academic Excellence and Clinical Proficiency. Dr. Ganjavi is an active member of the American Academy of Pediatric Dentistry, American Dental Association, Northern Virginia Dental Society and the Virginia Dental Association; and has more than sixteen years of clinical experience. She currently resides in Vienna, VA with her husband and two children. 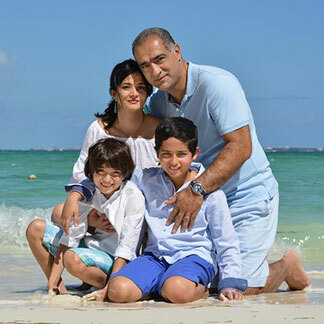 Dr. Ganjavi enjoys music, cooking, traveling, biking and spending time with her children and family. Dr. Ganjavi believes that she has been entrusted with a great responsibility when caring for your child’s dental needs and, that this may have life- lasting consequences. She continuously strives to excel in the field for which she has great passion and commitment, and has created a state of the art facility, in order to provide outstanding care for her patients in a safe, fun and bright environment. She uses latest technology, including Laser dentistry and Digital radiography and tailors her treatment to meet each child’s unique emotional and health care needs.